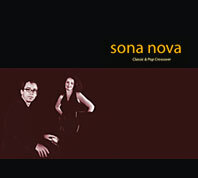 The CD “Classic & Pop Crossover” (SN01) was recorded in the spring of 2004. Christina Schütz plays alto, soprano, sopranino and Garklein recorders (live) and Michael Schütz plays an acoustic grand piano (live). The CD was recorded at Maryland Studios, Weil der Stadt, Germany and at Sub Zero Recording Studio, Backnang, Germany. It was mixed by Thomas Glässing and Michael Schütz at Sub Zero Recording Studio, Backnang and produced by Michael Schütz. 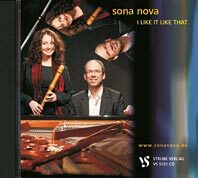 The CD “I Like It Like That” (SN02) was recorded at the church of Karlshöhe Ludwigsburg by Peter Weinsheimer in 2011. It was mixed at primTON Studio Berlin by Peter Weinsheimer and Michael Schütz. Produced by Michael Schütz. Both CDs are available online. Please use our order form.